IAMSE Manuals is a publication of the International Association of Medical Science Educators (IAMSE). The IAMSE Manuals offer all who teach in healthcare the most current information to succeed in their task by publishing short “how-to guides” on a variety of topics relevant to medical education. The publication of these manuals is overseen by the IAMSE Publications Committee. How to buy a manual? The IAMSE Manuals are published online only. Manuals can be purchased online for US $5.00 (for IAMSE members) or US $10.00 (for non IAMSE members) per issue. 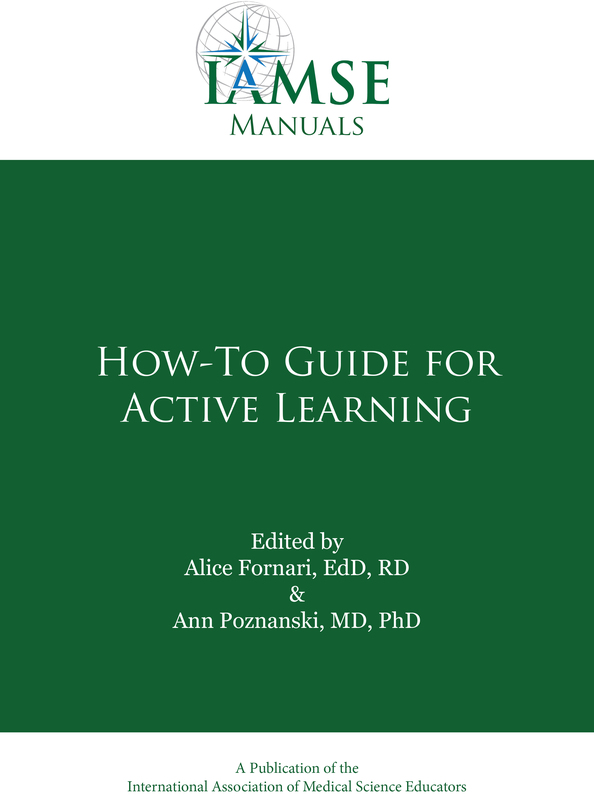 This manual is a compilation of teaching strategies in active learning to adapt to your own large group settings. This “How-To” Guide for Team-Based Learning is a manual that provides an overview of the fundamental components TBL and serves as a blueprint for instructors considering using this technique. The manual also identifies factors that will facilitate or sabotage a successful implementation of TBL. Authored by Ruth Levine and Patricia Hudes, both internationally recognized experts in the field of TBL. This Japanese translation was translated by Yukari Igarashi, Mariko Iida, Yoko Shimpuku, Yoichiro Miki, and Hiromi Seo.